There are three OptiTrack developer tools for developing custom applications: the Camera SDK, the NatNet SDK, and the Motive API. 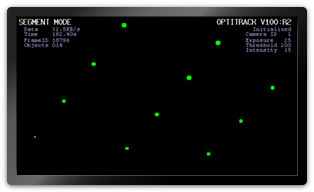 All of the tools support a C/C++ interface to OptiTrack cameras and provides control over OptiTrack motion capture systems. Visit our website to compare OptiTrack developer tools and their functions. Note: 3D tracking features are not directly supported with Camera SDK, but they are featured via the Motive API. For more information on the Camera SDK, visit our website. The Motive API allows control of, and access to, the backend software platform of Motive. Not only does it allow access to 2D camera images and the object data, but it also gives control over the 3D data processing pipeline, including solvers for the assets. Using the Motive API, you can employ the features of Motive into your custom application. Note: When you install Motive, all of the required components for utilizing the API will be installed within the Motive install directory. The NatNet SDK is a client/server networking SDK designed for sending and receiving NaturalPoint data across networks. The NatNet SDK makes the motion capture data available to other applications in real-time. It utilizes UDP along with either Unicast or Multicast communication for integrating and streaming 3D reconstructed data, rigid body data, and skeleton data from OptiTrack systems. Using the NatNet SDK, you can develop custom client/server applications that utilize motion capture data. The NatNet SDK is a free tool that can be downloaded from our website. Visit our website or Data Streaming page for more information on NatNet SDK. This page was last modified on 31 January 2017, at 12:30.